Size 200mm x 300mm (8in x 12in). 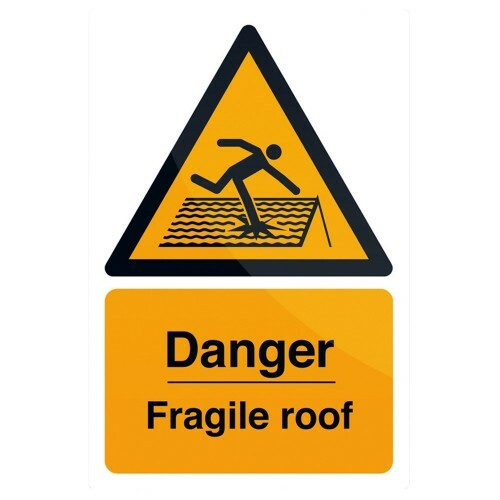 Rigid sign provides warning of a dangerous fragile roof. Helps limit company liability should accident occur.